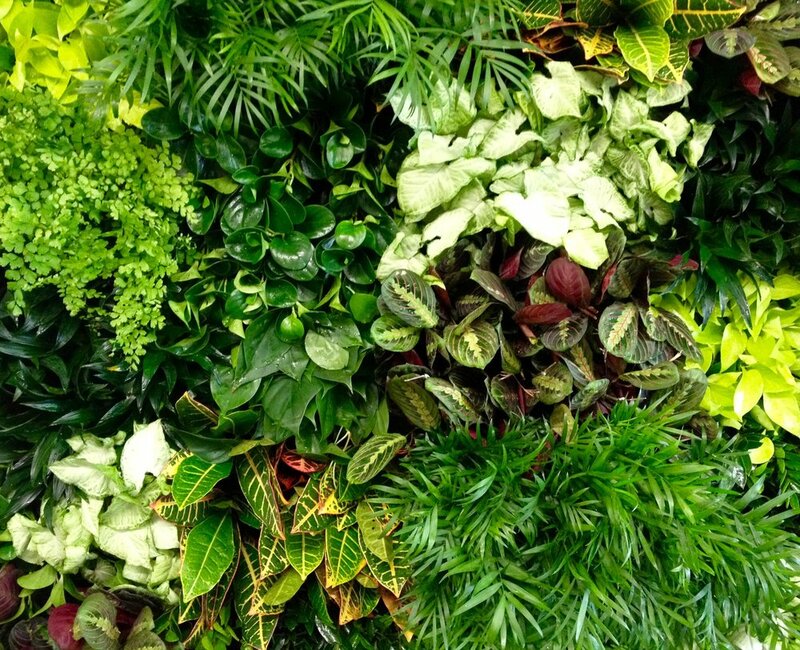 Our custom designed green walls offer an opportunity to add life to any interior, small and large. Because New York, like most cities, is lacking in ground-level growing space, vertical gardens and green walls present an excellent opportunity for growing plants in limited areas. In 2014 we installed two 12-foot-tall green walls in the Sixty Soho Hotel on Thompson Street in lower Manhattan. In 2015 Brooklyn Grange partnered with Green Guerillas, with generous support from the MB & Edna Zale Foundation to engage in a vertical gardening demonstration project that would inform Brooklyn gardeners on a variety of green wall construction techniques. The first installation can be found in the Clifton Place Memorial Garden and Park in Bedford Stuyvesant, Brooklyn.